This page will eventually have lots of printable downloads. Right now I just have a couple, but because they were just linked in blog posts, people had to scroll down a lot to find them. I want to make it easy for you to find them, so I decided to collect them here! 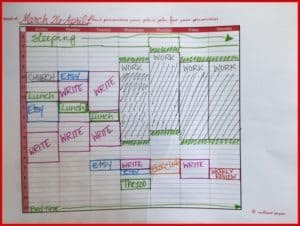 This printable is designed to help you plan out your week so you’ll know how much time you have to work on projects that are important to you. Time-blocking helps you do deep work and helps you keep from making more to-do list than you have time. For more information about time-blocking, check the blog post I wrote. One of my favorite book series is Susan Cooper’s The Dark is Rising Sequence. About an eleven-year-old British boy who learns he has magical powers (written 30 years before Harry Potter), the title book is atmospheric, full of vivid imagery and characters that have become real people to me over the years. 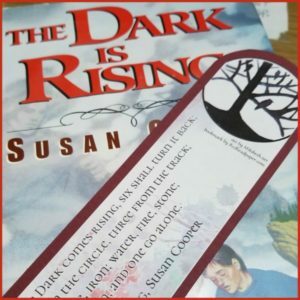 Over the winter of 2017-2018, there was a huge Twitter book club reading The Dark Is Rising, and as a treat for those participating, I made a double-sided bookmark everyone could download and print out. Read more at my blog post about The Dark Is Rising. Soon I’ll also be offering downloads in my Etsy shop. Make sure to check it out!